Will this help the company bounce back? Volkswagen isn’t a newbie when it comes to scandals. In the past year or so, the automobile company has been haunted by an emissions cheating scandal, and issues with system vulnerability that jeopardize the security of 100 million Volkswagen. The company admitted that 11 million Volkswagen cars in the US and Europe were equipped with a “defeat device,” which puts the car on some sort of safe mode when it detects conditions consistent with a standard emission testing. This allows their cars to cheat such tests by improving performance and emitting pollutants below the standard limit, which then radically changes when the testing mode is no longer detected. 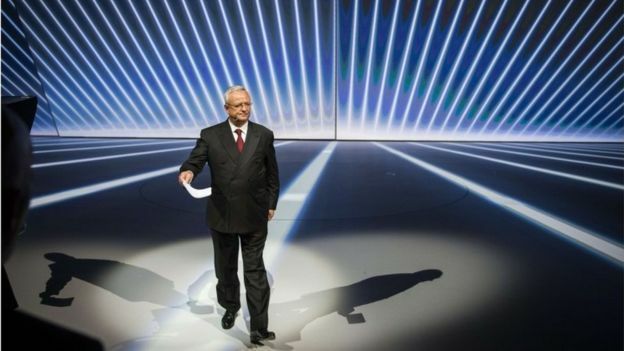 Former chief executive Martin Winterkorn. AFP. As a result, Volkswagen emissions went 40 times over the limits in the US, substantially damaging the company’s reputation and credibility. Subsequently, then chief executive Martin Winterkorn resigned and was replaced by Matthias Mueller, formerly from Porsche. “My most urgent task is to win back trust for the Volkswagen Group—by leaving no stone unturned,” Mueller said. And now it seems they are trying to make amends for this breach of trust and environmental violation: they are unveiling their first fully electric car at this year’s Paris motor show. It will be the size of the Golf while having the spacious interior of the Passat, but its most remarkable feature will be its charging time—it can take you 480 kilometers (300 miles) on a 15-minute charge, an impressive attribute for a production car. Early this year, Volkswagen made a pledge to deliver an environment-friendly lineup in North America by 2020, which includes 20 different EV and plug-in hybrid models. In line with this pledge, their first all-electric car is set to launch sometime between late 2018 and early 2019. 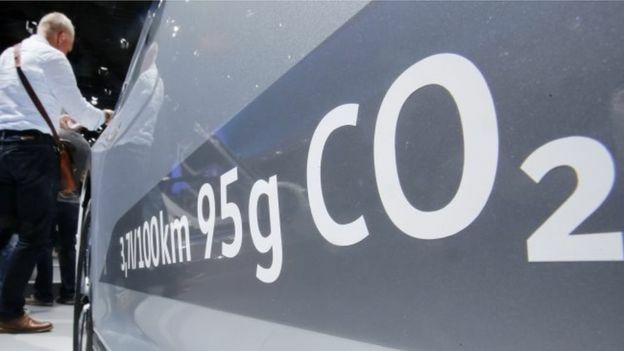 The credibility of Volkswagen’s emissions labels has suffered significantly. AP. Of course, the question remains: will they actually deliver as promised? With a new chief on the post, hopefully consumers can start trusting emissions level labels on their cars.